If you were a pro punter, would you keep your profitable bets to yourself or sell them to other punters? If a pro punter has a proven edge, why would they sell their tips? That’s a fair question which we are asked quite frequently. 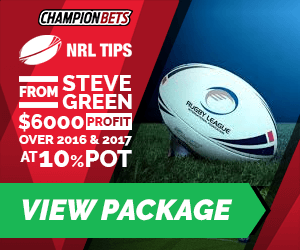 So we went straight to the horse’s mouth and asked some of our analysts why they’ve made their packages available through Champion Bets. The market is so big and vast, and there are so many opinions in the marketplace, that the selling of my ratings doesn’t affect my own profit to any significant degree. People probably have a bit of a misconception about the betting of some pro punters. The reality is you don’t need to bet huge stakes to make a decent living over a year. I’m still able to get my own bets on as well as supply my ratings to others. If it got to the point where it was affecting my own betting, then you’d have to think about whether you can do it. At the moment, that’s certainly not the case. 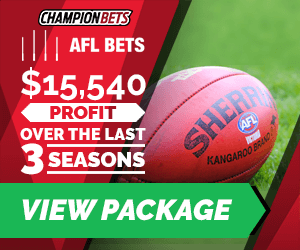 Given the depth in AFL markets on game day, it is possible to do both without destroying the market with personal betting. 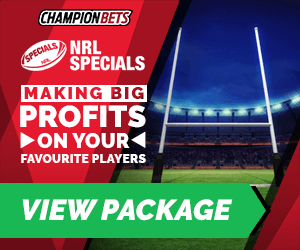 If it got to the point where personal betting and tipping were not able to be done whilst giving customers value for money (getting the same or very similar odds to what is attainable betting professionally), then we would not offer the service anymore. Similarly, if our tip release was moving the market obscene amounts, and clients were not able to go close to matching quoted odds, that would be another sign that it was time to stop selling the picks. In terms of income, of course it is nice to have a supplementary income to the betting, however there are other benefits to running a tipping service. You develop other skills such as client management, accounting, and all the other tips and tricks you pick up along the way with running a small business. Furthermore, if I did want to re-enter the finance world, it looks better on a resume that you’ve been running your own small business, rather than only betting professionally, in my opinion. It’s also satisfying to help other punters out there take money off the bookies at the end of the day. 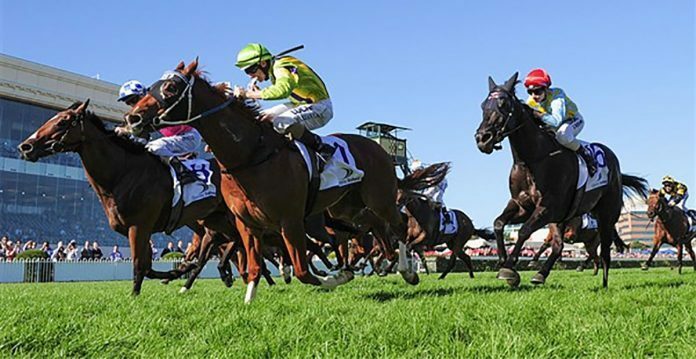 We’ve had lengthy experiences with the Australian corporate bookmaker over the years, and that experience tells us it’s very difficult to find a bookmaker that will maintain an account that keeps winning. So if our beastly abilities at pricing are being mitigated by this cat and mouse game of account restriction after account restriction by the corporate bookmaker, we can maintain monetization of our capability by forcing the bookmaker to play cat and mouse with many more people, not just a few. Hopefully that gives an insight into how and why professional punters are also able to offer their skills as analysts through Champion Bets. It’s also important to note that all-out distribution of some of our packages would result in a severe impact on the market, with paying members unable to realise the benefits. For that reason, all of our packages have a ceiling on the number of members that are admitted. Once a package reaches that ceiling it’s closed to new members, and only re-opened occasionally to replace those that have left. Check out our available Tips and Ratings memberships, or contact us now to join the waiting list for any closed memberships.